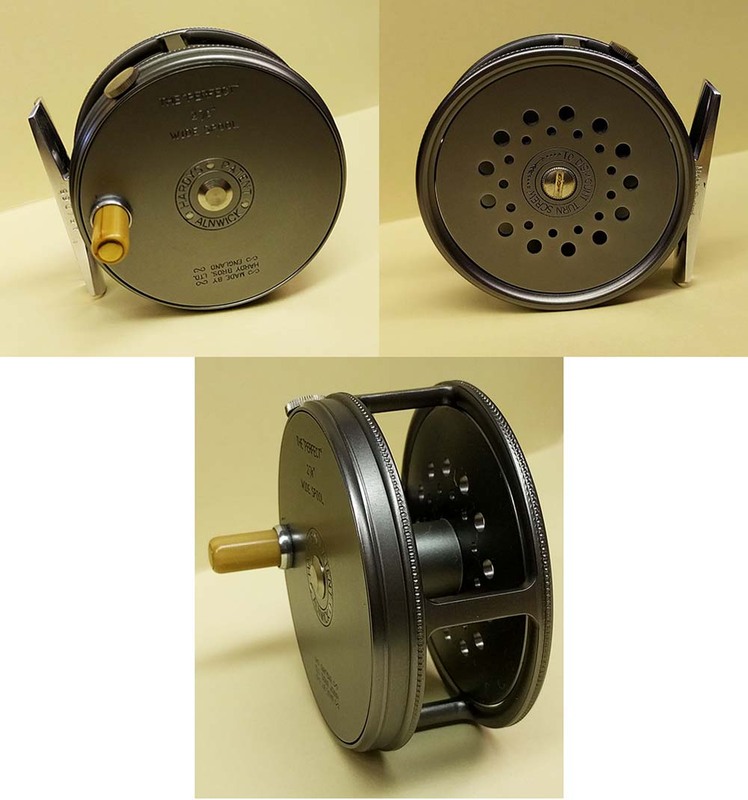 Beautiful classic fly reels, the latest revision in over a century of the Perfect. tweaking and adjusting to bring you what we believe are the best reels in their class to date. in 2 7/8" and 3 1/8". mechanism and dimensions from the 1921 Perfect, the 1972 reel back and a plate design which echoes that of the 1912 Perfect. Reel diameter - 4" and 4 1/4"
anodized finish with distinctive ivoine handle all make this one of history's most strikingly recognizable reels. All models available in left or right hand wind. Supplied in soft, sheepskin lined leather pouch. Three sizes for every trout fishing situation. Engineered from top quality aluminum. Navel brass spindle on the plate. Agate line guard, 15 ball bearings and time proven check systems for silky control.